Hardware as a Service (HaaS) enables you to get all the benefits of cloud computing without the loss of physical control. In the case of Servers, it is also often referred to as a “Private Cloud.” With HaaS, your hardware is always under warranty and has the most current Operating Systems. You can use the same pricing model with laptops, desktops, printers, switches and firewall/security appliances. HaaS becomes a desirable option because you can convert your large Capital Expenditures into a flat monthly cost. Security as a Service – includes firewall device, software options such as web filtering, warranties, and all support. Desktops, Servers, Laptops, or Printers as a Service – including hardware, software licensing, maintenance, and support. Equipment upgrade every 36 months. Backup and Disaster Recovery as a Service – includes equipment on-site and off-site for quick Disaster Recovery and Business Continuity. Call us at 405-813-4455 to learn more about Hardware as a Service and see how it can work for you. 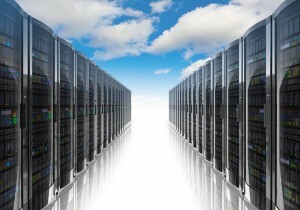 Check out our Blog Post on the 5 Reasons Your Business May Want to Rent Your Next Server.